Thursday August 2, 2018 - NASA Leader Raila Odinga received a brief yesterday on the work of the task force on Building Bridges in implementing the nine-point agenda. 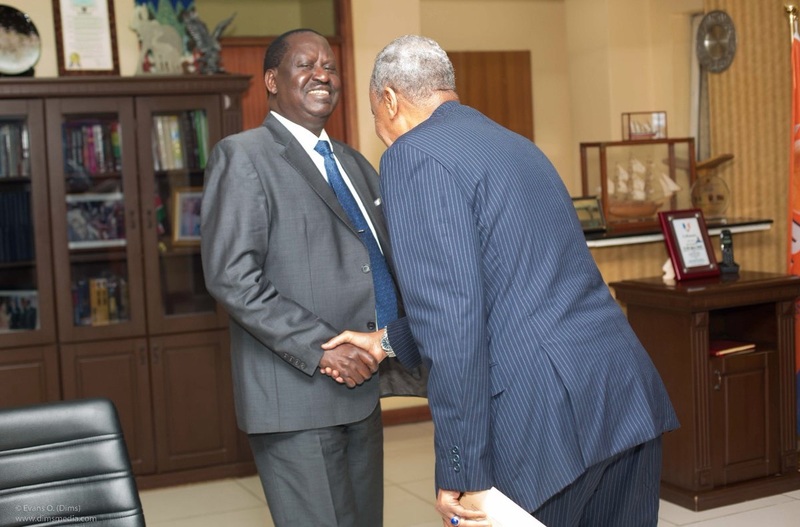 Raila met with the task force's Chairman, Yusuf Haji, and his Deputy, Adams Oloo, at his Capitol Hill office in Nairobi. Haji and Adams Oloo presented a draft work schedule and told the Opposition leader that they had completed the interpretation of the terms of reference of their assignment. They also briefed Raila on corruption and planned a two-day conference next week at Bomas of Kenya to discuss it. The conference will be attended by President Uhuru Kenyatta and Raila, and is scheduled to be held on August 6th and 8th. “We are organising a national convention that will give Kenyans an opportunity to share their thoughts on corruption and ways of addressing the same,” said Senator Haji.